When will it be out? 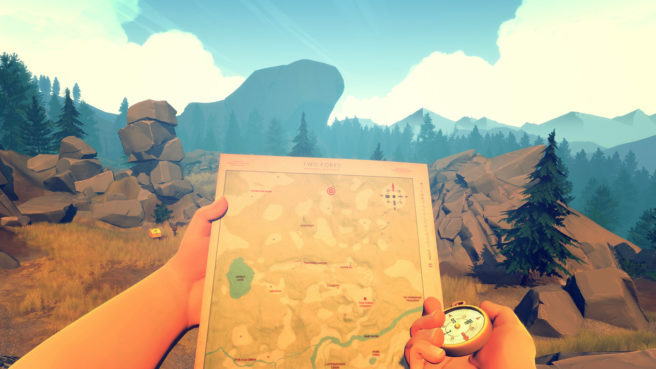 All we can say is “soon!” Reengineering the sprawling meadows and towering trees of Firewatch’s wilderness to play perfectly on new hardware is no small engineering task. We’ve been hard at work stripping much of Firewatch’s tech down to the studs and rebuilding it to render the world more quickly, to stream and load faster, and to generally be more responsive. Nearly everyone in the Campo Santo office has a Nintendo Switch (and the rest want one). We know what a good Switch game feels like, and want to make sure Firewatch feels like one too. Plus, we’re hoping to throw in a couple surprises just for the Switch release. 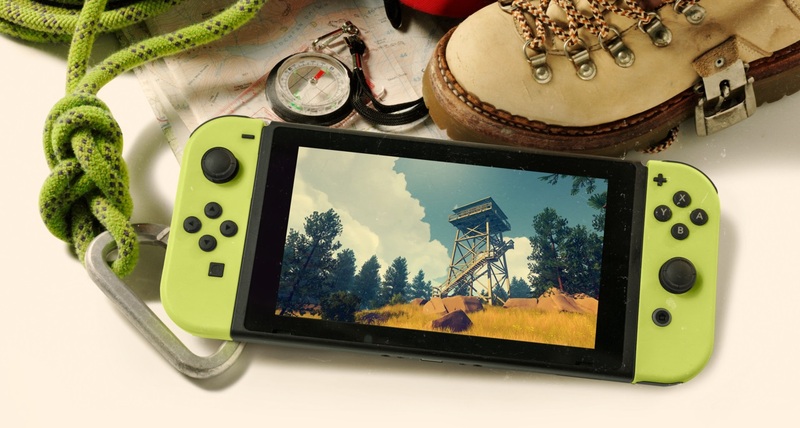 For more information about Firewatch’s release on Nintendo Switch, keep an eye on this blog and on the Firewatch Switch website (sign up there to receive release date information and other Firewatch news by email)! And for our other players, take note: The optimizations we’re doing to Firewatch aren’t just for Switch. They’re for Firewatch’s future as well. For the many people out there who haven’t played Firewatch yet, as well as the millions of existing fans who may go back and revisit the game some day, we want the experience to be as good as it can be. We expect to bring the low-level optimizations and tech clean-up we’re doing for the Switch to all platforms eventually. That means if things go to plan, we’ll see performance improvements on PlayStation 4 (and 4 Pro), Xbox One (and One X), Mac and PC. We’re lucky to be able to keep investing in and supporting a single player game that came out over two years ago, and we’re more proud of Firewatch than most things we’ve made in life. We want it to be found and enjoyed by as many people as possible. Thanks to you—and everyone, past, present, and future—who has played Firewatch for making that possible! Further information and a trailer for Firewatch can be found below. The year is 1989. You are a man named Henry who has retreated from his messy life to work as a fire lookout in the Wyoming wilderness. Perched high atop a mountain, it’s your job to look for smoke and keep the wilderness safe. An especially hot, dry summer has everyone on edge. Your supervisor Delilah is available to you at all times over a small, handheld radio—your only contact with the world you’ve left behind. But when something strange draws you out of your lookout tower and into the forest, you’ll explore a wild and unknown environment, facing questions and making choices that can build or destroy the only meaningful relationship you have. – A stunningly beautiful wilderness environment that expands as you explore. – A tailor-made story: the choices you make shape the narrative and build relationships. – Secrets and discoveries to be made over every hill.